UPDATED: Thu., Jan. 17, 2019, 1:38 p.m.
Gov. 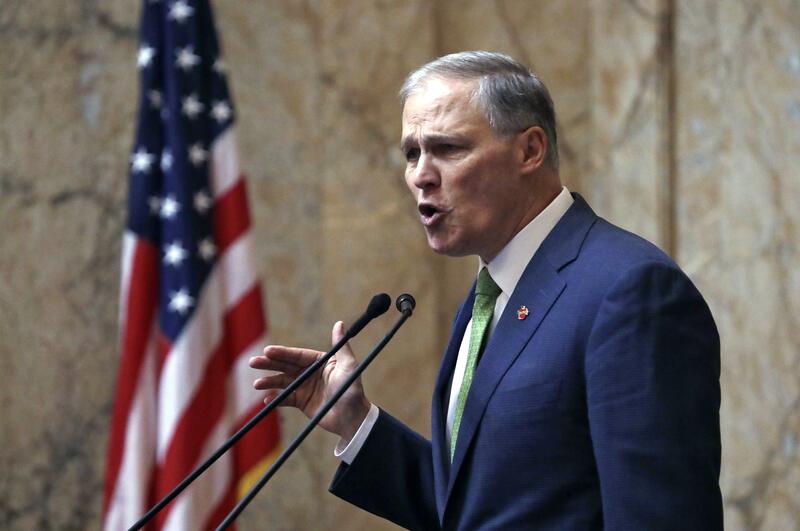 Jay Inslee’s proposed tax increases generated some expected support and opposition Wednesday as the Senate began hearings on new revenue for the state’s upcoming budgets. Business groups opposed a plan to raise the business and occupation tax on the service industry, which has many small businesses. They also objected to a state capital gains tax that would also hit owners if they sold a business to retire. Proceeds from retirement savings accounts would be exempt from the tax, which would be levied at 9 percent on annual investment earnings of $50,000 or more for a couple. But the sale of a business would not be exempt under the current proposal. That would hurt small retailers who build up a business to sell for retirement, Mark Johnson of the Washington Retail Association, told the Ways and Means Committee. But unions and progressive groups said the proposed changes are needed to bring fairness to the tax system and support needed state programs. “The capital gains tax almost exclusively will be paid by millionaires and billionaires,” said Andy Nicholas of the Washington State Budget and Policy Center. Inslee wants to raise the B&O tax for services from 1.5 percent of gross receipts to 2.5 percent. That would cover everything from accountants, lawyers and financial advisers to barbers and cosmetologists. It would be particularly hard on small businesses, which don’t have that expertise in-house like large corporations, because the higher taxes would tend to “pyramid,” said Patrick Connor of the National Federation of Independent Business. Inslee also is proposing a change to the real estate excise tax, which is set at 1.28 percent on the sale of a house. He would lower it to 0.75 percent on home sales under $250,000, keep it the same for sales between $250,000 and $1 million, raise it to 2 percent for sales between $1 million and $5 million, and to 2.5 percent for sales greater than $5 million. While that could provide lower taxes for some people in some areas, Republican senators were skeptical how many it would help. The money the new taxes raise would be used in part to replace culverts the state is being ordered to fix under a court order designed to open up streams with endangered salmon runs. “When all the culverts are fixed … does the tax go away?” Sen. Mark Schoesler, R-Ritzville, asked. The legislation has no sunset clause that would require it to end at a certain date, committee staff said. Committee Chairwoman Christine Rolfes, D-Bainbridge Island, emphasized the proposal was the governor’s and subject to change over the next 102 days of the Legislative session. “This is just the start,” Rolfes said. Published: Jan. 17, 2019, midnight Updated: Jan. 17, 2019, 1:38 p.m.